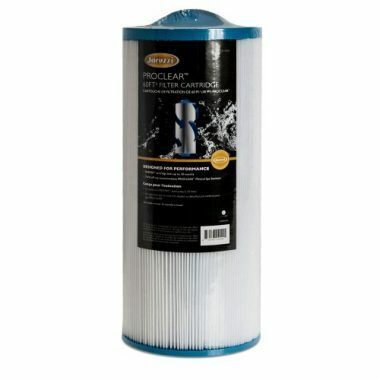 If you want to be able to keep your hot tub clean then you are going to need a filter. It will help to ensure that there is no debris or contaminants in the water and the best hot tub filters will ensure that you can have the relaxing time that you are looking for. In order to get the best spa filters for your hot tub, you need to make sure it matches your needs. In our buying guide, we will show you how to find the ideal filter for you and we have also completed hot tub filters reviews to show you the best products on the market. This is one of the top rated spa filters on the market and one that is going to give you all your cleaning needs. It is ideal for most types of pool and also hot tubs and spas. It is designed to be able to reduce pump stress by allowing higher water access. It is break-resistant and has antimicrobial end caps to be able to inhibit the bacterial growth. 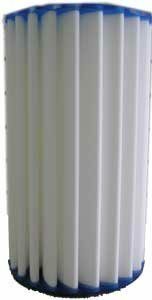 Intex have been able to produce this hot tub filter cartridge that is going to do a very effective job at cleaning your water. These replacements for an Intex PureSpa are going to be able to give you a very high level of filtration. 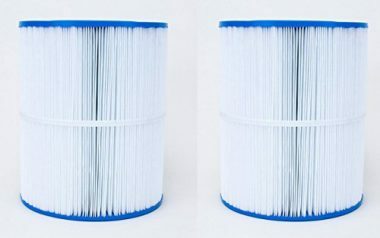 It is easy to clean, allowing you to keep using the same filter for around a month before you require replacements. This is one of the best spa filtration systems you can get and is perfect for pool and spa cleaning systems. It has a free flow core that will be able to maximize the water flow. It has antimicrobial end caps are able to resist chlorine degradation to give it a very long lifespan. This is an excellent Jacuzzi filter and one of the most highly rated product on the market. It has a twist off cap that is able to accommodate a clear mineral spa sanitizer and the filter is able to clear and are of up to 60 square feet. It is a long-lasting cartridge and can keep going for 18 months. 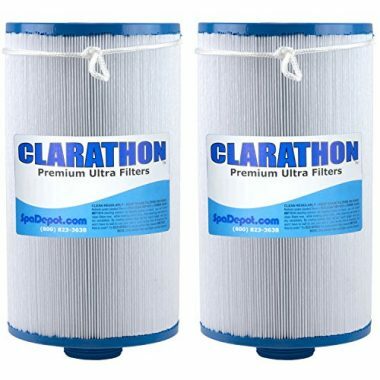 Clarathon have been able to make this product that works great as a hot tub sand filter as well as being great for many other types of sediment and dirt. It is able to clean up to 50 square feet and it going to be able to filter out everything that you need. It’s another highly rated product and one that you are going to be very happy with. This spa filter system has a very large capacity as it is a filter that is able to cover up to 125 square feet. It can last for up to 18 months and is going to be able to catch a large amount of debris. It will provide you with a constant stream of clear water. 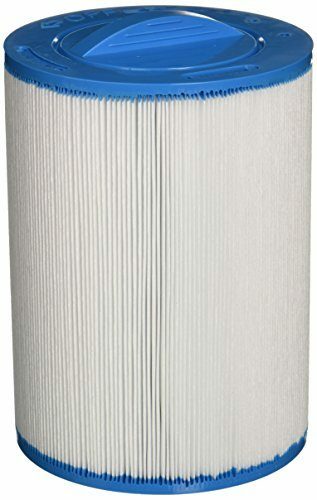 This highly-rated filter from Baleen Filters is one of the best products on the market and is made to be highly durable. 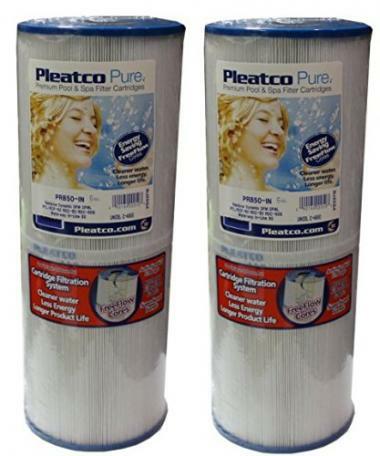 The filter is also washable too which is going to help to extend the life of the product. It is energy efficient and can withstand high pressures and temperatures. 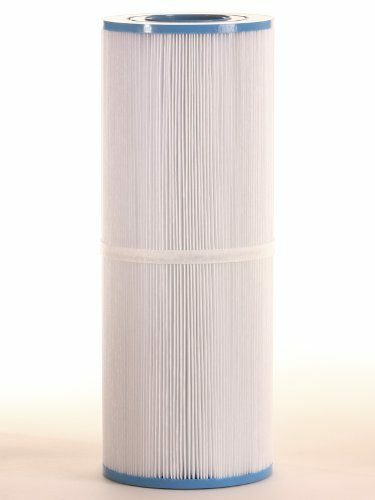 Hot Spring have been able to produce this excellent replacement filter cartridge that is able to fit a number of different models. It is going to last you for a very long time and it is even dishwasher to safe to extend the life. In terms of hot tub water filters, this product ticks all the right boxes. It has a high-performance pleated polyester media with durable antimicrobial end caps. It also features break-resistant bands and is available in a few different buying options. This is one of the most highly rated products on the market and is able to cover 65 square feet. It will provide you with a highly efficient filtration system and will leave you with water that has a great level of clarity. The size of your tub is going to be a vital consideration when it comes to the type of filter that you will need, if you have a filter that is too small for your hot tub then it’s not going to be able to filter it effectively. It’s important to know the square feet area of the water that you are trying to filter and this information is going to be displayed on the product descriptions. 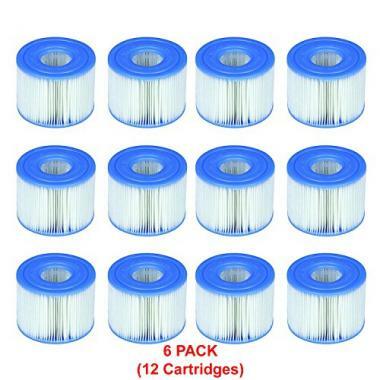 When you know this figure, you will then be able to match it with the filter that you want to buy. Hot tubs can come in all different shapes and sizes which can often mean that they require different types of filters. Some of these products will fit most models but there are others that are only going to work with specific models. Due to this, it’s information that you need to double-check in order to avoid getting the wrong product. This information is going to be clearly displayed though and therefore it is going to be hard to go wrong as long as you’re careful. There are a few different types of filter on the market with cartridge filters being by far the most popular type out there. That is because they are cheap, can be easily washed and also have a very high surface area to capture all of those contaminants. Diatomaceous filters are also available and are almost as affordable as the cartridge type but are not compatible with a lot of hot tubs. 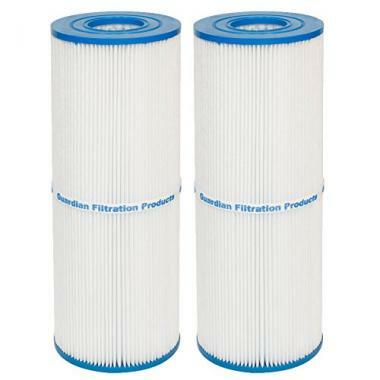 Ceramic filters are also available but this is an outdated form of filtration and not really apt for modern use. These filters are going to be doing a very important job at making sure that they not only take any sediment out of the water but they also play an important role in getting rid of bacteria too. It’s essential that they are going to be high quality. One way to ensure the quality of the product is to get one that is highly rated. The user reviews are a great way of being able to check that the product is meeting the standards that you are going to expect. Buying from a reputable company is also a great idea. 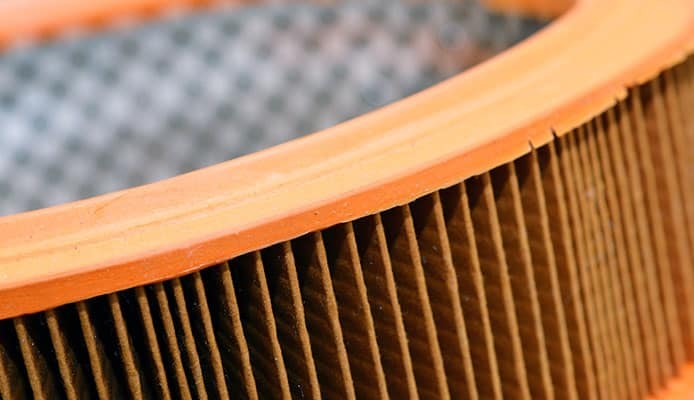 A filter is not going to be much good if it simply clogs up after a short space of time and means that you are going to end up having to constantly having to replace it. Getting a product that is going to be able to last for a long time is important. 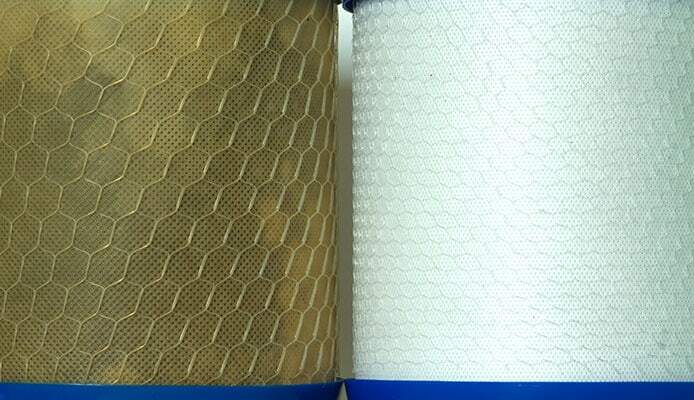 A lot of these filters have a high level of durability and will be able to last you for up to 12 months. One great feature is for them to be washable too, as this will be able to extend their life and allow you to get a few repeated uses out of them. A filter plays a vital role in ensuring that you are going to be able to relax with peace of mind. It will help to leave the water crystal clear while it silently takes out anything from the water that might otherwise be damaging. It’s important to use the correct filter for your hot tub as otherwise you are not going to get the right level of filtration and could cause other damage, such as overloading your pump. This is information that should be double-checked before you buy. Q: How Hot Tub Filters Work? A: A filter is something that is able to separate one substance from another. In terms of a hot tub, this will be separating anything that is not from water from the actual water that you will want to be relaxing in. 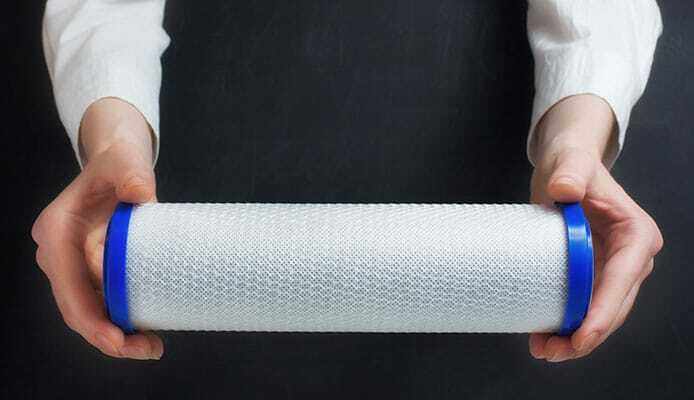 The filter acts as a net, able to catch any little bits of debris and helping to kill off any bacteria. This will mean that the water coming back into your hot tub is clean and healthy. Without the filter, the dirt would simply accumulate in your tub. Q: What Are The Benefits Of Using A Hot Tub Filter System? A: Bacteria love forming in still water and even more than that, they love forming in warm water. A hot tub is going to be able to stop that bacteria from forming to ensure that you stay healthy while you are using the hot tub. There is plenty of debris that can be found in water. This could be speckles of sand, little bits of dirt or even small insects that fall into the water. Your filter will be able to get rid of this to leave you with a clean pool. A filter will also help to keep the right balance of chemicals in the water and also keep any air out of the pipes. Q: What Is The Best Filter For My Tub? A: Firstly, you want to make sure that you are buying a quality product. Cheaper products can break easily and not give you the level of filtration that you need. Trusted brands are much more likely to last for a long time. Next, you simply want to ensure that you are getting a filter size that is going to be compatible with your hot tub. This information will be clearly labeled and it’s a simple case of matching it up to ensure you will have the filtration you need. The filtration system is a vital part of your hot tub or spa. Without a good filter, you could quickly find yourself trying to relax in a hot tub that was full of debris and bacteria which wouldn’t be a pleasant experience at all. Buying a high-quality filter is essential to ensure that you are going to enjoy your hot tub as much as possible. Hopefully this guide has given you all the information that you need in order to choose the best filter for you and your hot tub. Once you have then you will be able to enjoy your hot tub, safe in the knowledge at your filter is working away in the background.